In the military: see titles from the Air Force, Army, Marine Corps, or Navy. It takes nerves of steel and muscles of iron, to work hundreds of feet above the ground, building structures that push up to merge with the clouds. Ironworkers have what it takes to help build the supporting structures for bridges, large buildings, and roads. Consulting sketches and blueprints to guide their work, ironworkers move prefabricated iron and steel by hand and signal crane operators to lift and position it. Using a variety of tools, they cut and shape the iron and steel, then weld or bolt it into place. Getting these heavy materials into the right, level position is key to structural integrity, and requires specialized tools to ensure it. It takes good balance and coordination, strength and stamina to make it in any specialty in this field. Structural iron and steel workers connect steel columns and girders for tall structures. Although wet, icy, or windy conditions can stop work, work is outdoors in most types of weather. With the risk of falls, cuts, and muscle strain, precautions must be taken. Reinforcing iron and rebar workers use steel and iron to strengthen concrete for highways, buildings, and bridges. 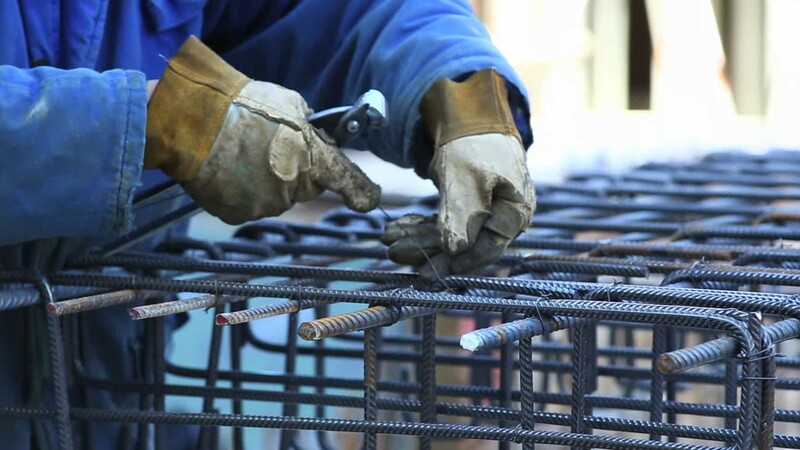 They must be able to carry, bend, cut, and connect rebar quickly to help keep projects on schedule. Most ironworkers work full time in the construction industry, and learn their trade through a 3-4 year apprenticeship. A high school diploma or equivalent is generally required. People interested in this work like activities that include practical, hands-on problems and solutions. New job opportunities are very likely in the future. See more details at O*NET OnLine about structural iron and steel workers. Structural Iron & Steel Workers by U.S. Department of Labor, Employment and Training Administration is licensed under a Creative Commons Attribution 4.0 International License.